On the palate: Strong leather hints, rancio present. Long, lengthy finish with hints of truffle. 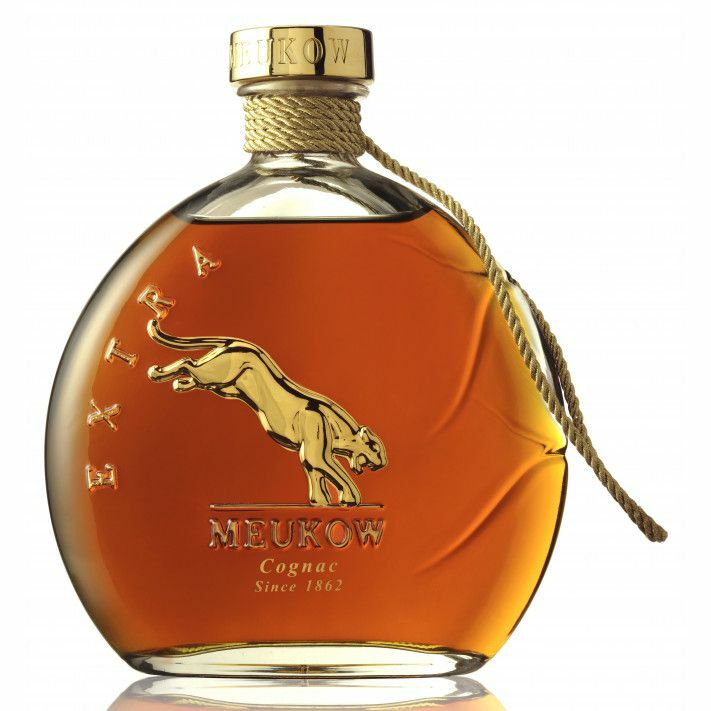 Truly special, the Meukow Extra Cognac is created from some of the oldest eaux-de-vie from the house's Paradis cellar. As one would expect from a blend that contains cognacs that have been aged as long as 30 years, you taste the rancio that only develops with super-long aging. 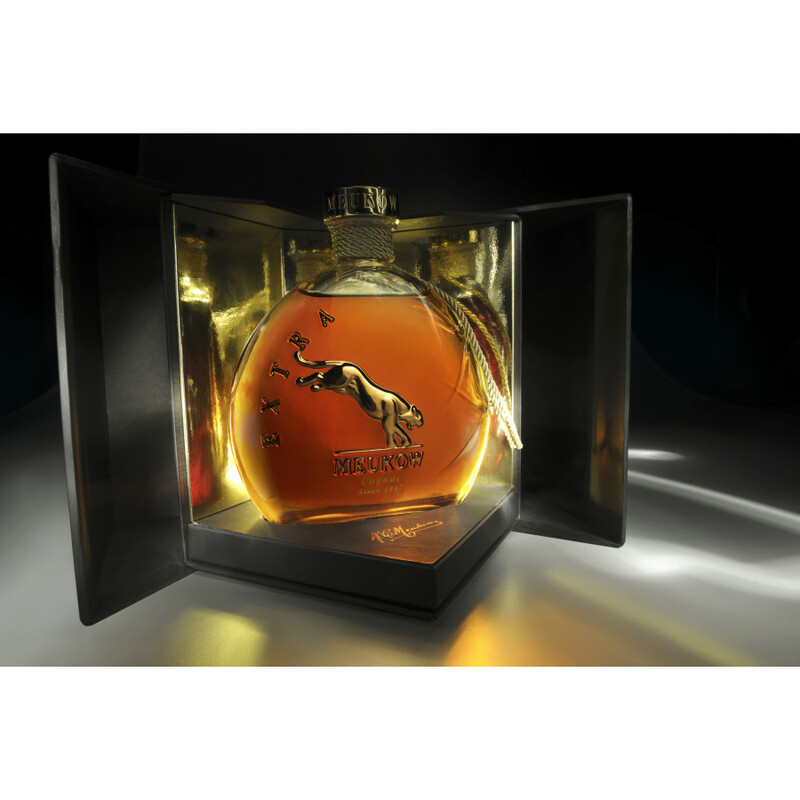 The bottle is a wonderful round shape, complete with pouncing panther (in gold), golden colored stopper, and presentation box. 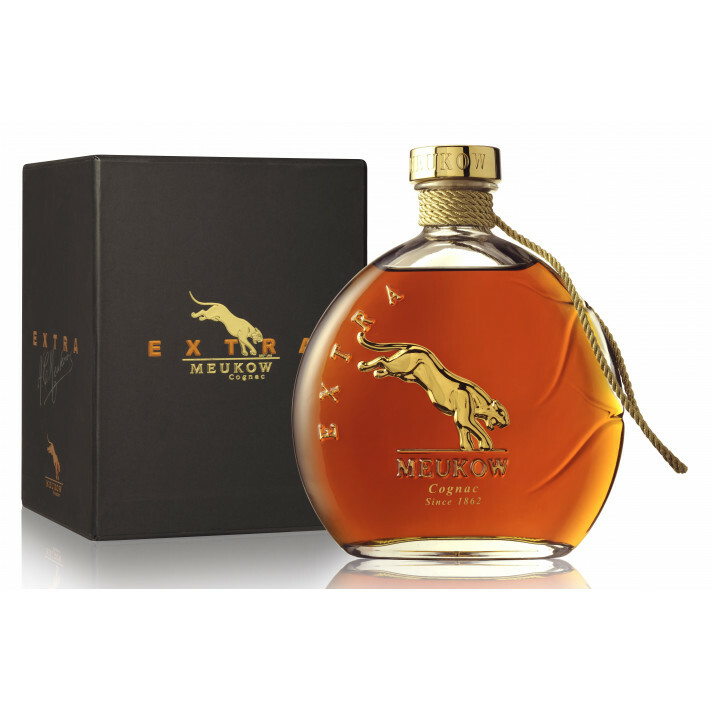 A great cognac for the connoiseur - be sure to enjoy in good company and when you have enough time to appreciate its sensory journey.